A WHITSUNDAY Regional Council decision to remove the Wilson Beach swimming enclosure has been met with some community opposition. On December 12, councillors voted to apply for a permit through Queensland Parks and Wildlife Service to remove the existing enclosure which has been out of action since it was badly damaged in Cyclone Debbie early last year. The council's decision came from fears of crocodiles in the area and the fact it does not have the capacity to ensure safety of users. Wilson Beach resident Belinda Gater, who organised an online petition to the council in May against an earlier decision to scrap the swimming enclosure, is among those upset at council's decision last week. Mrs Gater lodged a formal complaint with council asking for the decision to be reviewed. "This enclosure has been incident free, with no crocodile attacks,” she said. She said the council could have chosen one of the different options put forward by zoologist Dr Adam Britton of Big Gecko Consultants, who did a risk assessment on the swimming enclosure. Two of the four options included repairing or replacing the swimming enclosure, Mrs Gater said. The swimming enclosure had been in the spot for decades and Mrs Gater said it had been popular. "I think there's enough support that it remains open,” she said. Mrs Gater said the online petition in May garnered more than 1000 signatures in 48 hours. "It's an inviting swimming beach. It's got a park and barbecue facilities,” she said. She described the closure as "a bit of a kick in the guts” for local residents, especially those who go swimming there in the Christmas break. 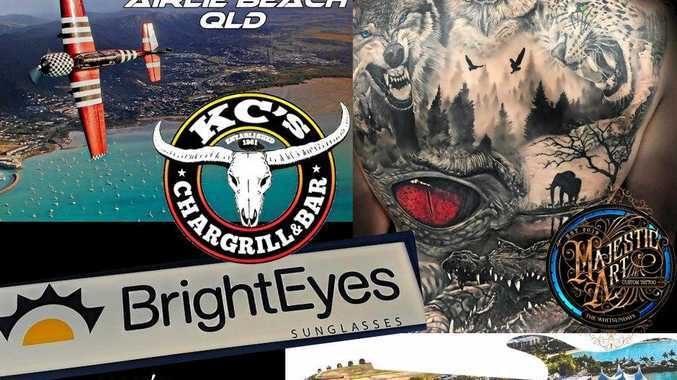 Mrs Gater said crocodiles were also in other areas of the Whitsundays over the years, including one that had been at Cannonvale Beach and which caused a warning sign to be erected. "There's crocodiles everywhere,” she said. However, among Dr Britton's risk assessment was a crocodile population survey in the Proserpine River over two days and two nights by a local contractor in August that found 301 crocodiles, giving an overall density of 4.7 crocodiles per kilometre of river. Not all councillors were in favour of getting rid of the swimming enclosure, with councillors John Collins and Peter Ramage voting against it. "I'm upset that it got knocked on the head,” Cr Collins said. Councillors voted to remove the swimming enclosure because the council does not have the capacity to ensure safety of users because of a significant concentration of nearby saltwater crocodiles and it could not get appropriate comprehensive insurance. 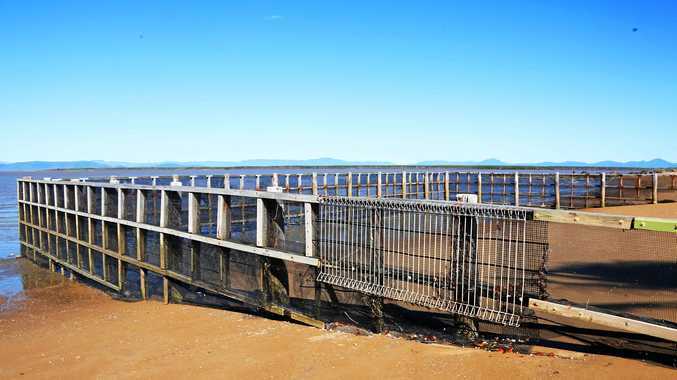 Part of the reason for the removal was because similar enclosures in Queensland were provided to offer some protection against jellyfish but using one to mitigate risks of coming into conflict with crocodiles would be unprecedented in Australia.